Although Consumer Reports has given the iPhone X a recommendation following its final testing results, it has ranked Apple’s latest flagship smartphone below the iPhone 8 and the iPhone 8 Plus because of poor performance on its durability and battery life tests (via MacRumors). According to the website, both the iPhone 8 and the iPhone 8 Plus better survived a tumble test for emulating real-world drops and fumbles of about 2.5 feet that can result in device damage, as compared to the iPhone X, even though all three iPhones sport glass bodies. After 50-100 tumbles, one iPhone X model suffered serious body damage, while two others had screen defects. While the iPhone 8 and 8 Plus ended up with fewer scrapes after the test, the front displays for all three iPhones came away unscathed. When it came to scratch tests and water resistance tests however, the iPhone X came out on top. The website also had some complaints about the iPhone X battery life. The iPhone X lasted 19.5 hours in the Consumer Reports battery test, compared to 26 hours for the Samsung Galaxy S8 and 21 hours for the iPhone 8 Plus. 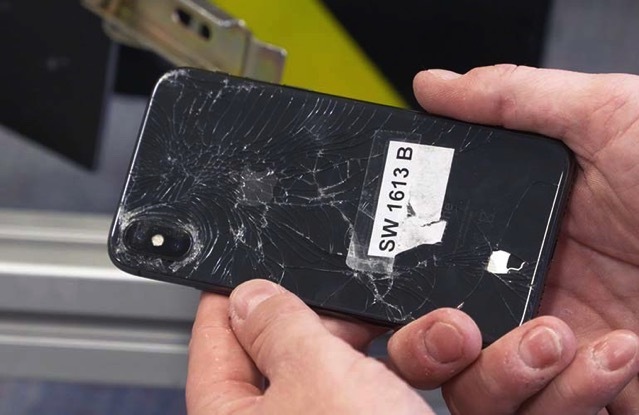 “If not for the damage in that durability test, the iPhone X would have come in ahead of the iPhone 8 and 8 Plus,” says Richard Fisco, head of smartphone testing at CR. The iPhone X didn’t fare well on durability or battery tests, but it did earn the highest camera score out of all the smartphones tested by Consumer Reports. The site also listed the OLED display and the Face ID facial recognition system as iPhone X strengths. The Samsung Galaxy S8 and the Samsung Galaxy S8+ remain the top two recommended smartphones on Consumer Reports, primarily due to superior battery life.